It’s not hard to dislike U2. Okay, maybe that’s a bit harsh, but it’s certainly not hard to dislike Bono. Sure, there’s his much-lauded philanthropy work, but his recently revealed tax-dodging escapades have put a serious damper on his public perception, one that was already in dire straits after his team-up with Apple meant that 2014’s Songs Of Innocence was automatically uploaded to every iTunes library on the planet. And perhaps if this was another artist, it wouldn’t have caused so much of a stir, but there were two primary factors preventing that – a) U2 at this point had been seriously flagging as a band, and this whole thing screamed of a much-needed publicity stunt that would get people talking and simultaneously circumvent most negative backlash, and b) it wasn’t a good album at all, a fat slab of U2 at their most self-indulgent that refused to actually move and was even more adamant in its inability to stick. What’s more, that was supposed to be U2’s album indicative of childhood, drawing parallels with William Blake’s collection of poems of the same name, and thus implying that its sequel Songs Of Experience would forgo whatever little life was already there in favour of something with more weight and gravitas. And sure, the rinsed-out stadium rock of U2’s current incarnation can effectively carry that maturity, but it doesn’t make this any less drab or bloated. What’s worse is how often maturity is confused for sounding tired and strained, and how quick U2 are to embrace it. You’re The Best Thing About Me and Landlady work as whimsical ballads that double up as further shots of singalong fodder, but Songs Of Experience seems more than content to wallow in a pulseless mire that becomes tiresome in a hurry. It definitely feels like an album based on a more spacious template, and from an older, more middle-brow perspective (with regards to both the band and the audience they’re trying to court), that at least has some potential. But it could be done better than this, where the guitars on tracks like Red Flag Day and The Little Things That Give You Away are so clipped and thinned out, and Bono himself has clearly seen better days as a vocalist, barely lifting out of a mid-level warble that’s effortless in the least appealing way possible. It doesn’t help when the subject matter is just as starved of drive either, largely sticking to lukewarm dedications to the virtues of growing older and nostalgic stupors, with the closest to any real strength coming on The Blackout‘s orbit around some approximation of political commentary. But for as clearly comfortable as U2 are in this state, they clearly still want to make a point about how they’re still in touch with modern life, and how they’re clearly trying to expand their grip even further. Why else would Ryan Tedder have been promoted to main producer other than for added pop appeal, a decision which only serves to drain whatever colour is left from an already dreary mix? But even then, at least that’s fairly innocuous compared to some baffling decisions that are clearly attempts at gaining some clout for sounding “current”. Plenty has already been said about the thick AutoTune that pierces through Love Is All We Have Left that has no good reason for being there, but the fact that Kendrick Lamar is totally wasted here says a lot about how mismanaged this album is, where instead of rapping he slots in between Get Out Of Your Own Way and American Soul to read the sort of self-important, messianic declarations that are part and parcel with anything involving Bono. The thing is though, none of this is really that surprising. Bono’s current fugue state where he has no clue what this band is or how to properly work it isn’t exactly a new phenomenon, and the fact that Songs Of Experience shows no sign of rectifying that says mountains about where U2 currently are. At the minute, they’re well past their heyday, slunk into the complacent position of a legacy act with little to prove and just as much to offer. Even if there are some who are bound to find some appeal, Songs Of Experience is a painfully dull listen that couldn’t feel more like a perfunctory release if it tried. At least its predecessor had something to get people talking. 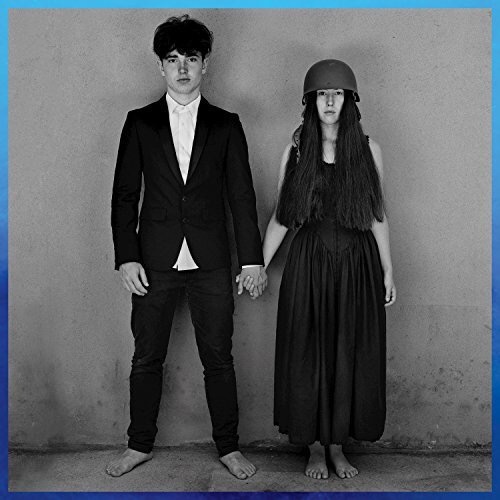 ‘Songs Of Experience’ by U2 is out now on Island Records.